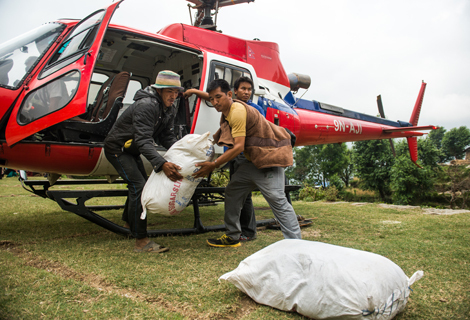 MAF Nepal – Summit Helicopters Pvt. Ltd. 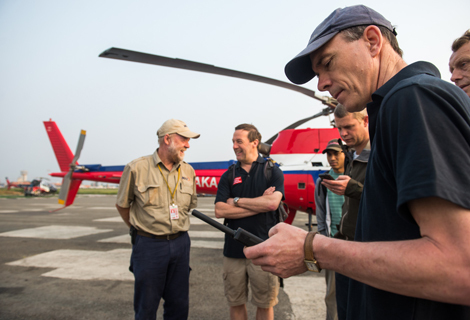 The collaboration of MAF International, a Christian Organization that flies in the most isolated communities of the world to support the extremely suffering mass of people, & the Fishtail Air, a leading Helicopter Operators of Nepal has been a year. 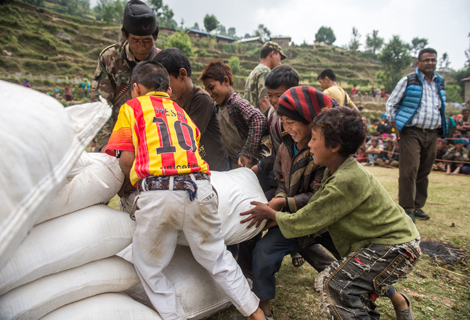 After the devastating quake that struck Central Nepal in early 2015, these two organizations began their collaboration under Earthquake Relief Campaign in Nepal. During one year collaboration, MAF & Fishtail Air undertook humanitarian tasks to several isolated quake affected villages. Basic needs like food & water, temporary settlements, Medicine supplies & clothes were delivered to these villages where roadways had no links at all. Moreover, the rescue & evacuation of people trapped in the debris of the quake were also done at large scale. Fishtail Air would like to congratulate all the personals directly & indirectly related to yearlong collaboration of MAF & Fishtail Air. We also hope the continuity of collaboration that has served the humankind in extreme crisis.